Available Now On Android And iOS! Penny Parlor is 4 mini games in one! Fully 3D machines utilise physics to allow you to flick, whack, swing and fling for hours of entertainment. Break records and accomplish a set of achievements for each of the mini games. Work your way through 4 Levels of increasing difficulty! Penny Parlor was released by Games Lab Apps on September 20, 2011. Penny Parlor has been a Featured Game on the US, Australian, British and many more international App Stores! 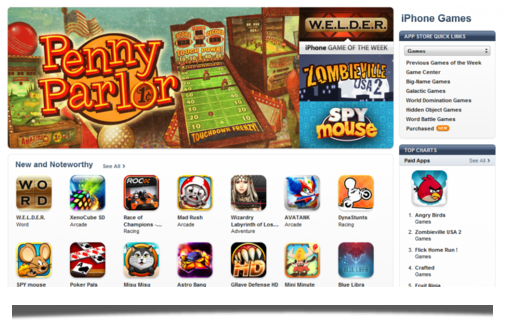 Penny Parlor was the App Store's Featured App for the first week of November 2011. Penny Parlor was featured in the App Store's Boardwalk Games collection in April 2012. Penny Parlor was part of an App Store Baseball Games collection to celebrate the start of Baseball season in April 2012.